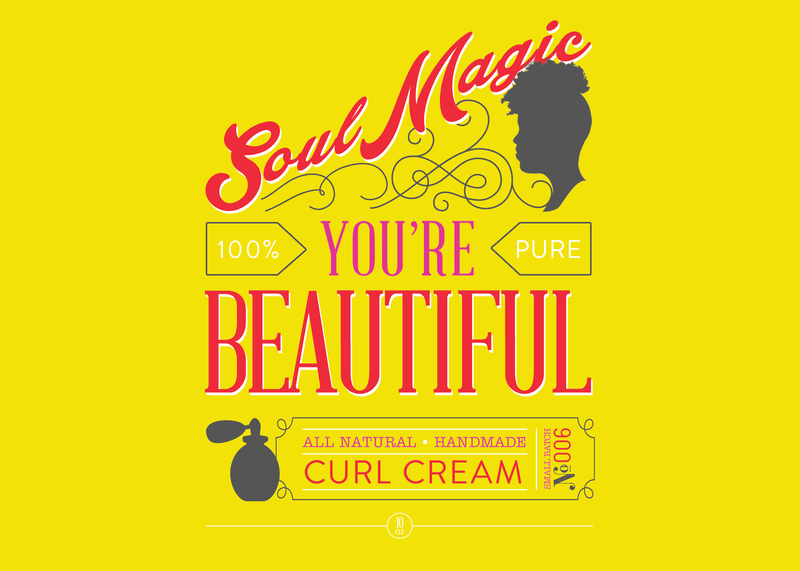 Soul Magic’s “You’re Beautiful” curl cream is the first in a new line of all-natural beauty products named for the positive affirmations they’re meant to instill in women. 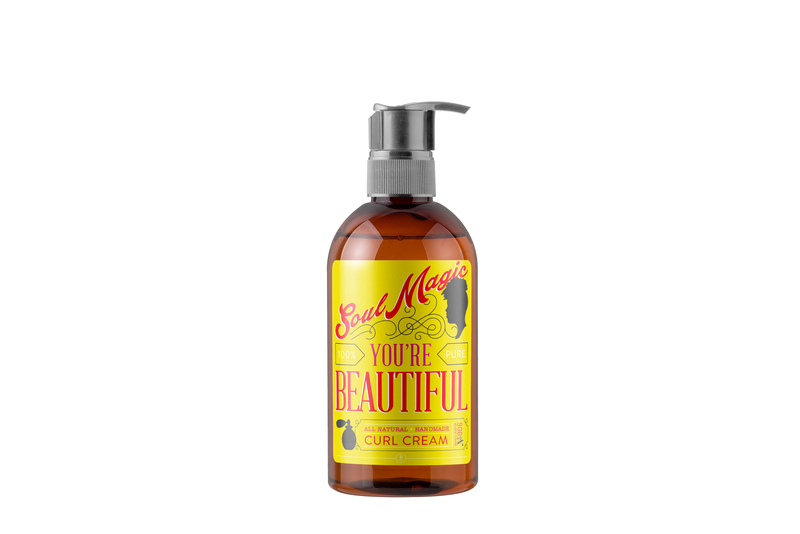 I created a classic cameo from the founder’s mohawked silhouette to set the brand’s tone of femininity-meets-funk. Combined with apothecary style bottles, the packaging provides a sense of ’70s soul with distinctly modern daintiness.